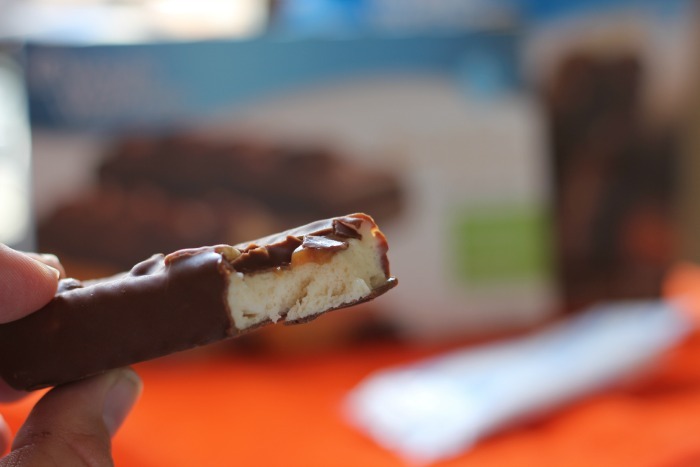 This is a sponsored post written by me on behalf of Weight Watchers® Ice Cream for IZEA. All opinions are 100% mine. Ok guys, I know usually talk of watching what you eat is typically the domain of women, but I am a fan of doing what you can without making sacrifices. I don't like sugar-free soda and I can't stand a lot of "healthy" meal choices because it feels like I am punishing myself with every bite. While that might work well for a few days or weeks, it isn't a sustainable solution to stay healthy. For many years, Weight Watchers® has been a great source of inspiration for people looking to make healthy choices and I have a HUGE amount of respect for the organization because they recognize its about more than just "eliminate all the fat!". Instead, they have a focus on living a more healthy life through smart decisions including portion control. That's the same attitude that they have brought to their ice cream bars as well and I was honestly very impressed by what I sampled recently. Ice cream has always been a "reward" type food for me. It isn't uncommon for me to have a bowl after finishing an article or after I come in from doing yard work. The problem though is that I inevitably end up consuming way more than I need or honestly even really wanted. Most of the time all I am really looking for is just a little sweet and chocolatey treat before moving on to the next thing. 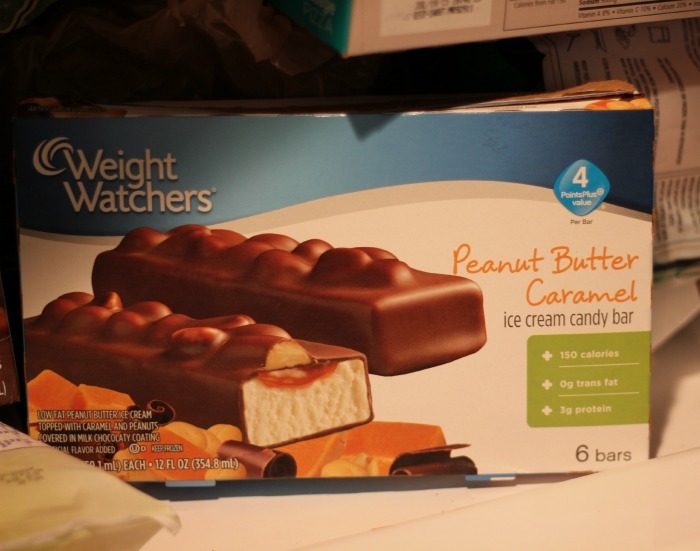 Weight Watchers Ice Cream can be found at most major grocery stores including: Walmart, Target, Kroger, Publix, Safeway, Stop & Shop, Shoprite, and Supervalue. I purchased mine at Ralph's here in San Diego - a sub brand of Kroger. They had a great selection of different flavors but the two I chose to check out for this piece were "Peanut Butter Caramel" Ice Cream Candy Bars and English Toffee Crunch Ice Cream Bars. However, there is a wide variety of flavors and styles available including the ones above as well as sandwiches and cones. It tastes really good and frankly if you had tricked me - like my wife does - and said is this Weight Watchers® I wouldn't have been able to tell the difference. That goes true for both flavors actually. What's important to realize here is that the benefit to these is that they are packaged as part of the PointsPlus® system. When you compare them to similar products they are "better" but not something that you can have 3 or 4 of without worrying about the impact to your goals. When you reach for one of these, it's about portion control and making a good choice without sacrificing the joys in life that you deserve. I look forward to checking out some of the other flavors in the future, but for now these are going to be sitting in the freezer waiting for the next time I need something to satisfy my craving for a sweet treat! 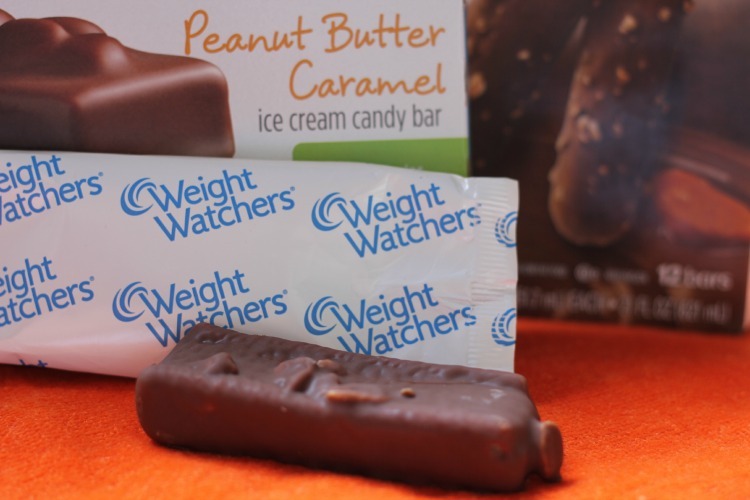 WEIGHT WATCHERS® on foods and beverages is the registered trademark of WW Foods, LLC. WEIGHT WATCHERS for services and PointsPlus are the registered trademarks of Weight Watchers International, Inc. Trademarks are used under license by Wells Enterprises, Inc. ©2015 Weight Watchers International, Inc. All rights reserved. An Easy Twist on a Classic Weakness: The "Bachelor Burger"